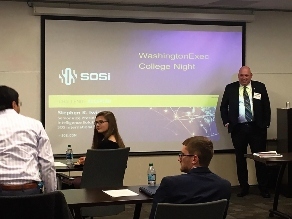 WashingtonExec on Jan. 8 hosted a leadership program for high school and college students at Jacobs Corp.’s offices in Reston, Virginia. The WashingtonExec Career Bridge is a unique program that offers professionals a single platform to make connections over the course of an entire career — starting at age 5 with the annual K-12 STEM Symposium, this month’s High School and College Leadership program, Rising Star program, mid-career management, senior leadership and all the way to retirement. The 2019 program included presentations from Stephen Iwicki, Robert Grossman and Julia Atkinson. 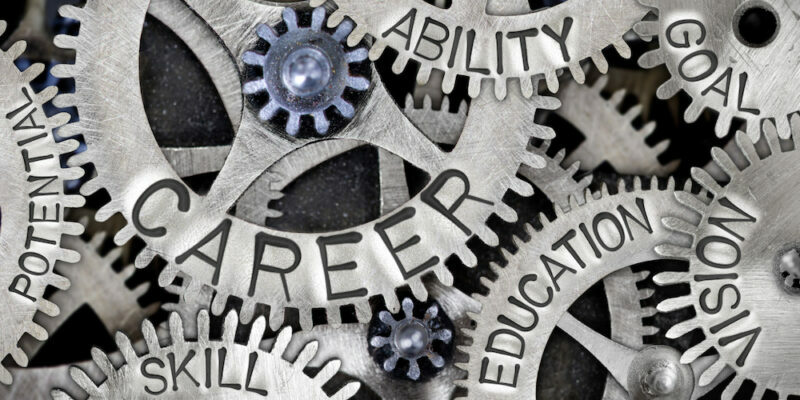 Iwicki, father of two millennial daughters, discussed how networking, continuously applying for scholarships early and completing internships as an undergraduate student is indicative of launching a life-long career. Iwicki also focused on the interview skills to land a full-time position after graduation: make sure to google yourself, study up on the employer and be prepared for challenging questions that demonstrate self-reflection. High school students also heard from Grossman, founder of Grossman Educational Group, which offers comprehensive tutoring and educational guidance services within the D.C. Metro region, across the nation and abroad. Grossman presented on “7 Tips for Getting into the College of Your Choice,” including the importance of demonstrating “leadership and longevity” (instead of participation) in extracurricular activities and the importance of building an honest parent-child partnership to manage college admissions expectations, including conversations over finances. Grossman stressed students must take mature ownership of the process to find their “why”— their true reason for choosing a school against raw appeals to reputation, what he called the “brag and swag.” Grossman discussed why it is important to build a connection between the student and the college but not to obsess over one school. Julia Atkinson, a cybersecurity fellow on the Industrial Cyber and Digital Security Team at Siemens Energy, presented to both groups of students about her academic and professional experiences. Atkinson emphasized the importance allowing yourself to be surprised while in college, including taking classes outside your major, interning in a new city and taking advantage of scholarship opportunities — even if they seem out of reach. Atkinson also discussed the sometimes undefined process of college pre-interviews and remembering to take advantage of various resources in undergraduate and graduate school. The WashingtonExec College Leadership Committee is a group of high school and college students whose parents are part of the broader WashingtonExec community and who are looking to establish their professional networks while in school. Previous topics for the group have included internships, resume building, college recruiting tips, the security clearance process and how to construct a proper elevator pitch. The group meets twice a year, in July and January.